A new MOCHA program, an inter-disciplinary process, has been announced by Middleburg Academy, a leading independent school in Loudoun County Virginia. This helps students to make connections across the curriculum and reinforces its STEAM program. Middleburg Academy, an independent high school in Loudoun County, Virginia, has announced a new MOCHA process to reinforce its STEAM program. MOCHA is an interdisciplinary approach to teaching and to learning. Its primary goal is to encourage every teacher in the school to reach out across the curriculum to partner, collaborate, and interconnect with other viewpoints or disciplines, making at least one teaching connection happen each semester. More information can be found at: http://middleburgacademy.org. The MOCHA approach stands for “Making One Connection Happen in Arts, Academics, and Athletics.” It is a way for the school to keep ideas fresh, new and interactive. It also underscores a commitment to a diversity of viewpoints and broader methods for implementation of ideas. It applies equally for students as well as for faculty. 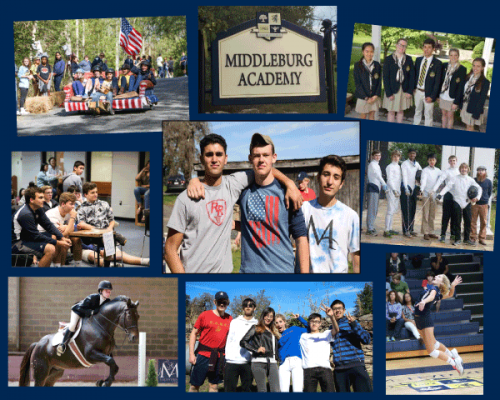 Middleburg Academy is renowned as a place of excellence in education, athletics, social diversity and in cultivating leadership. The school’s small class size and dedication to each student’s growth and development in the real world sets them apart from most other high schools in Virginia. Students at Middleburg Academy benefit from a mindset that is based around developing the whole person, their head and heart, intellect and character. The STEAM program adds a creative, human and aesthetic component into what people know as the STEM orientation. It is an attitude and atmosphere that provokes and serves each student’s curiosity, so they can develop in the most stimulating environment. The school strives to prepare students for the complexities of the modern world, so they will be able to disentangle the problems that are more functionally entwined than ever before. The website also explains the school’s strong orientation toward excellence in athletics. In addition, the site describes Middleburg Academy’s remarkable record with graduates excelling at top universities around the world. They are rated amongst the top ten best high schools in Northern VA. The school also picks students up regularly in Leesburg, Ashburn, Purcellville, Centreville, Gainesville and South Riding, Virginia. Parents wishing to know more about having their children attend the school are recommended to call admissions at 540-687-5581. The site also describes the different departments and benefits. This includes their leadership programs, international student body, special events, tuition options, the learning programs and the athletics department. Although not a boarding school, many students come from abroad and are provided housing in the local community. On the website, interested parties will learn more about the philosophy behind the school, their history and accomplishments. There they are also invited to subscribe to the school’s newsletter, The Dragon, and engage with the activities of its students. They can also get in touch using the contact details provided.